There is a ton of hype surrounding the total solar eclipse on August 21, 2017. The moon will completely block out the sun in a path from Oregon to South Carolina. 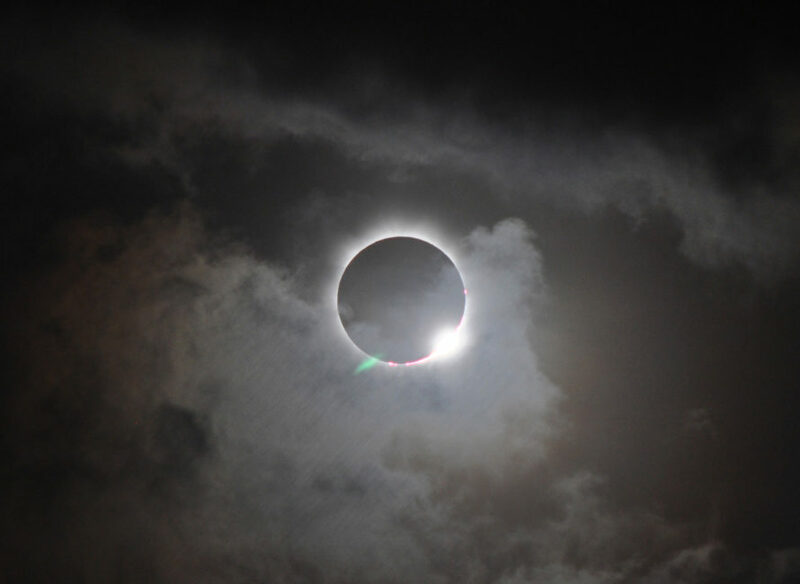 It will be the first total solar eclipse to occur anywhere in the contiguous United States since 1979. 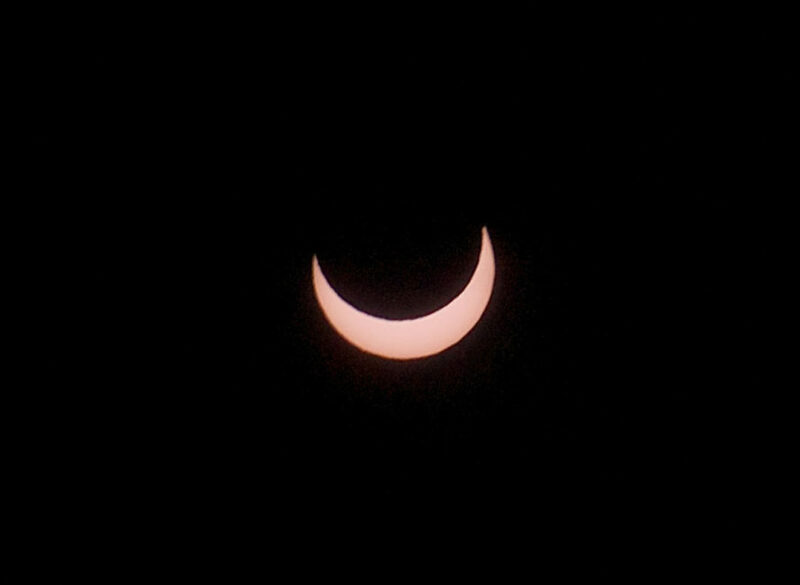 Those of us in Texas will still see a partial eclipse of the sun. According to Lara Eakins, program coordinator for the Department of Astronomy at The University of Texas, most of the state will see approximately 70% of the sun covered. Texas won’t see the sun completely blocked, as pictured below. Eakins said for those in the Austin area, the partial eclipse will begin around 11:41 a.m. The peak of the event will take place around 1:10 p.m and will end at 2:39 p.m. The partial solar eclipse will be visible to everyone in the state of Texas. Experts stress that you take the necessary safety precautions when viewing an eclipse. Only those in the path of totality will be able to view the eclipse without eye protection, and only during the moments which the sun is completely obscured. There are several ways to safely view this celestial event including approved eclipse viewing glasses, cameras, binoculars, and telescopes with special filters, or even homemade pinhole cameras. The image below more accurately describes what Texans can expect on the afternoon of August 21, 2017. NASA provides additional safety tips and precautionary viewing options here. Feeling left out on the total solar eclipse? 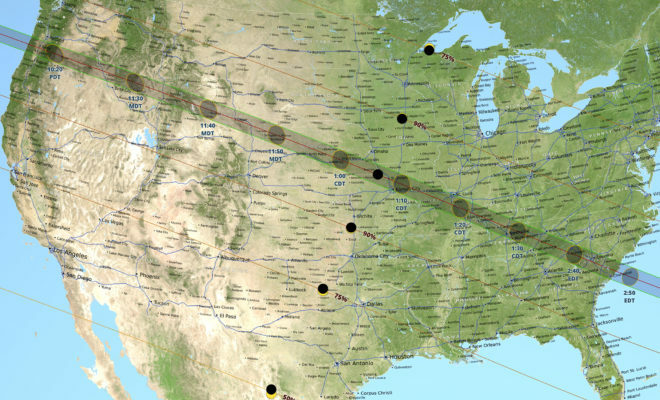 The next time this will occur in the U.S. is on April 8, 2024, the path of totality slices straight through Central Texas.